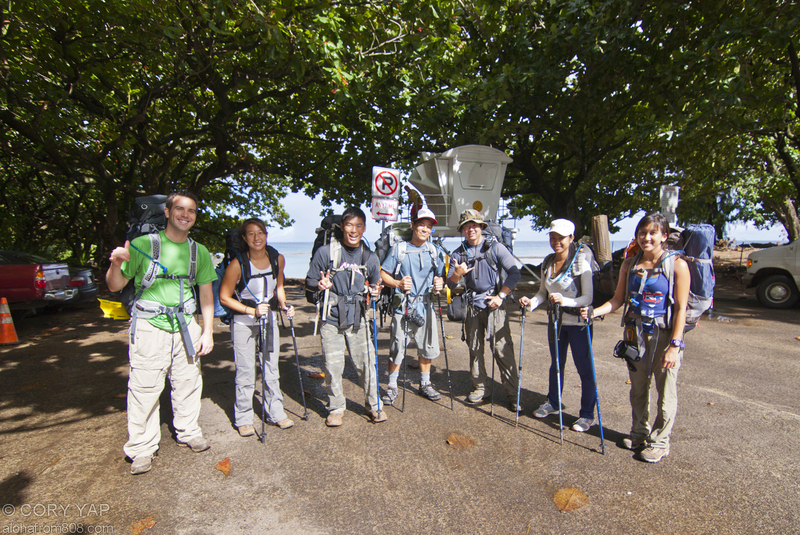 Arriving in Lihue around 6am, the Lost Trailblazers (Jenelyn Castillo, Jennifer Liu, Reanne Solomon, David Chatsuthiphan, Troy Takara and myself) made sure to eat a caloric McDonalds breakfast and purchase the rest of our camp checklists at Walmart, i.e. alcohol and bottle water, since most stores are not open around that time… NOTE: Walmart does not sell Bacardi 151 (Fail for the Jens and Reanne, lol). 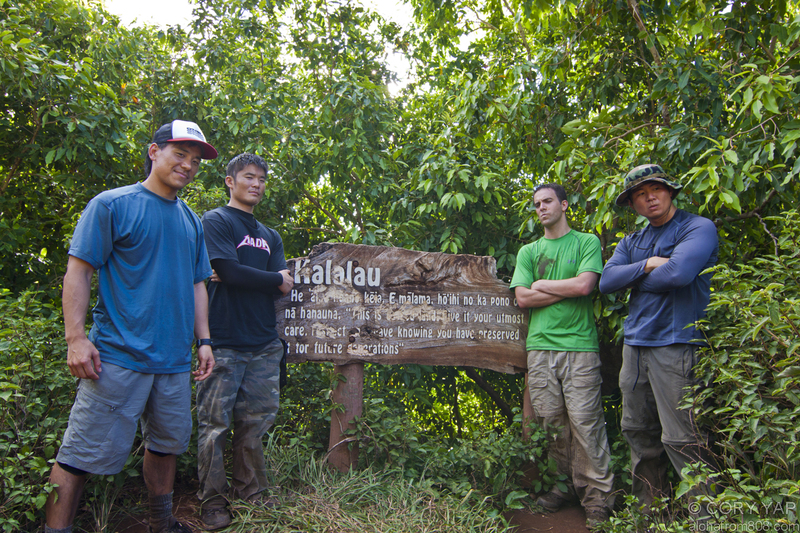 We set off for Haena around 715am, and reached the Kalalau trailhead by 9am. Needing to repack to accommodate water and other gear, as well as needing to park the rental car at a nearby residence, we didn’t start the trail until ~ 930am. NOTE: I would recommend either getting dropped off at the trailhead, or parking your rental car elsewhere than Kee Beach for the duration of your trip. After taking several group pictures and reading some of the informative signs, we were off. 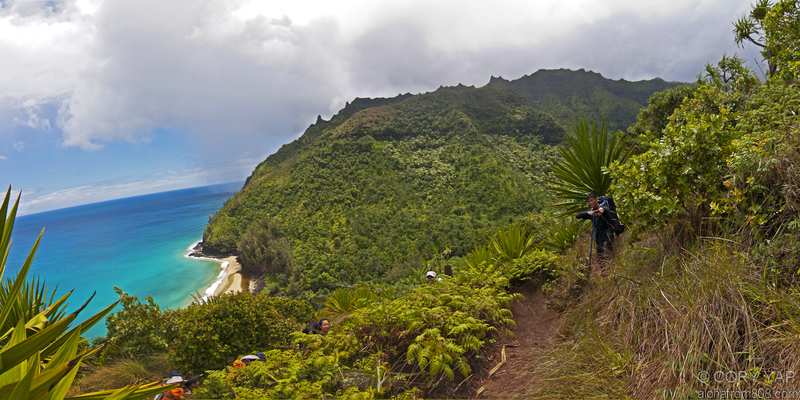 The beginning of the trail, up until Hanakapiai is wide and well kept (Above: Kee Beach and Haena in background). 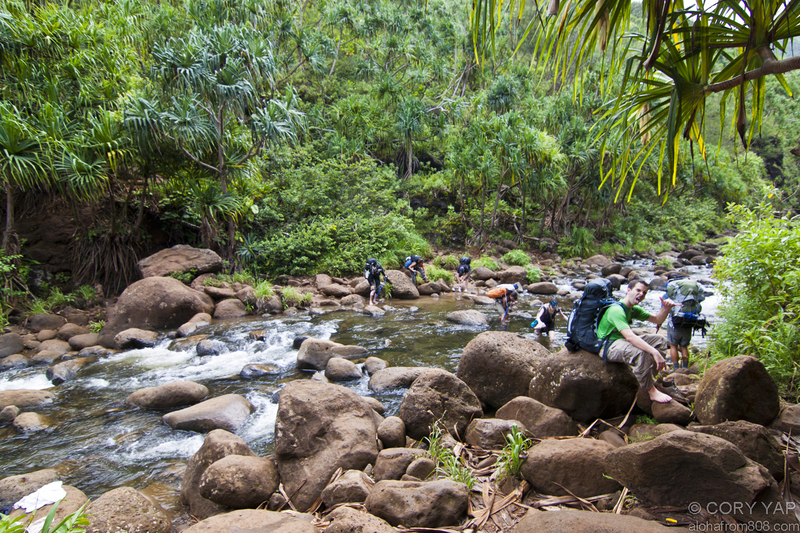 Lost Trailblazers at the first stream crossing, one valley before Hanakapiai. 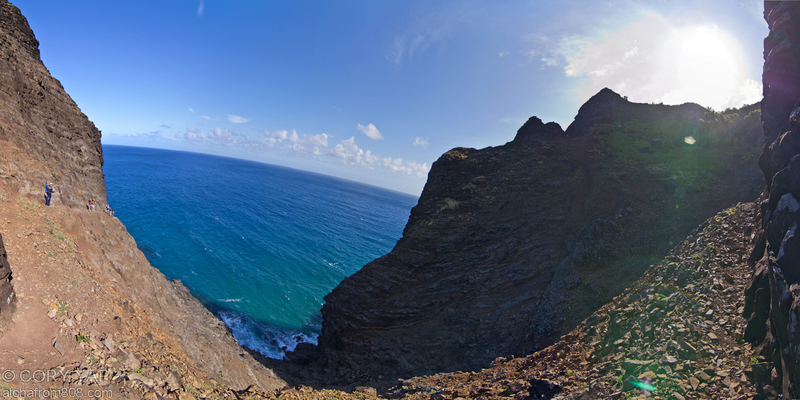 Within an hour or so, we reached the Hanakapiai Beach Lookout. We appreciated the view for a bit, before making the stream crossing at the trough of the valley. Some of us rock hopped, while other took off their shoes and went barefoot. 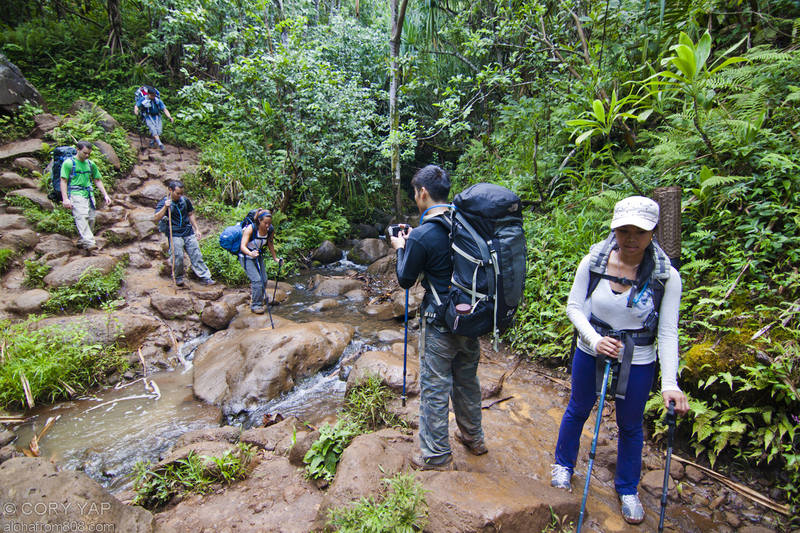 Please be careful while crossing, the rocks are extremely slippery… particularly if the stream is much higher than usual from rain, as it was for us the morning of our trek into Kalalau. 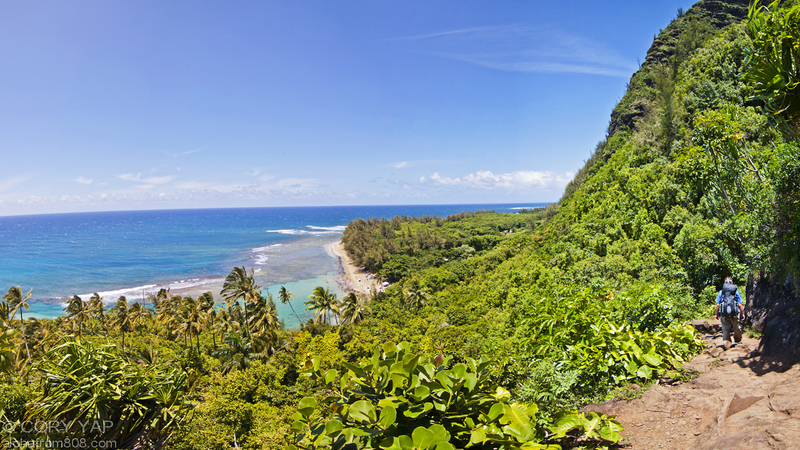 Hanakapiai is not open to camping, though it is a common day hike or swim for both locals and tourists. 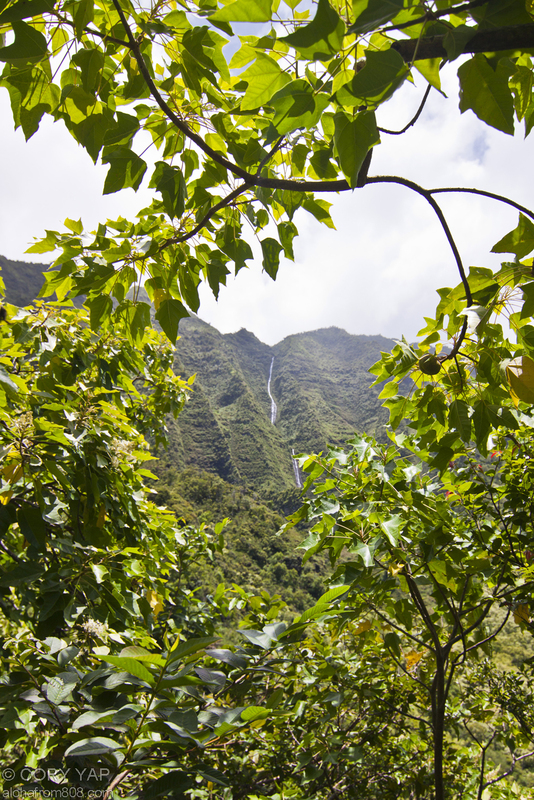 The Hanakapiai Valley trail, which leads to a large waterfall, is also a popular hike for many when not actually backpacking the entire Na Pali Coast to Kalalau. Be careful if you swim here, as the westward current is very strong, particularly later in the day. Coming out of Hanakapiai is a grinder. 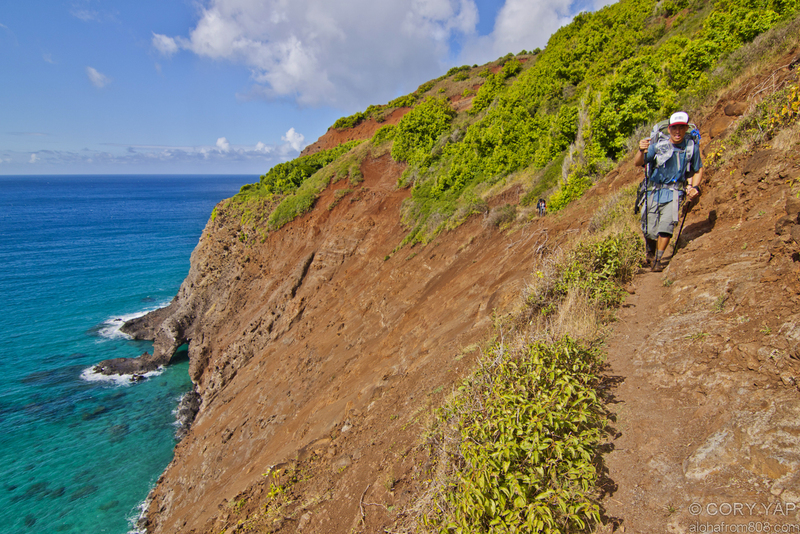 This is probably the longest switchback of the entire Na Pali Coast, and many of us were feeling the weight of our 30-50 lb packs digging into our hips. 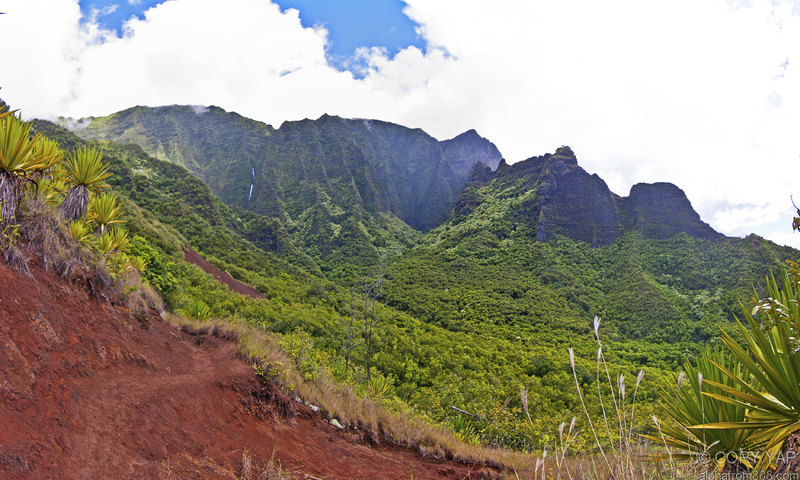 At least the views were amazing to keep us motivated and to push on to Hanakoa. 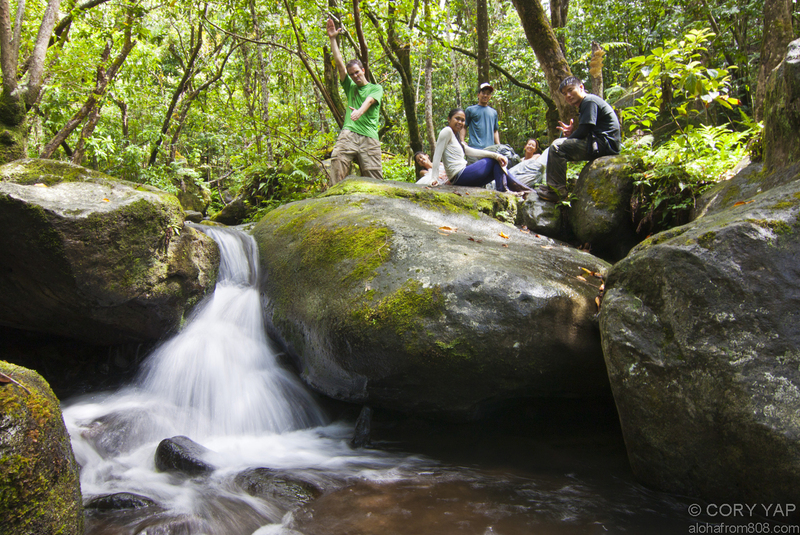 Wherever there were elevated boulders to sit/rest our packs on, we took a break. It also made it easier to put our packs back on since we didn’t have to pick them up from ground level. Another switchback in the valley just before Hanakoa. Note the canoe rest spot notched into the coastline. We eventually arrived at Hanakoa valley around 230 pm or so. 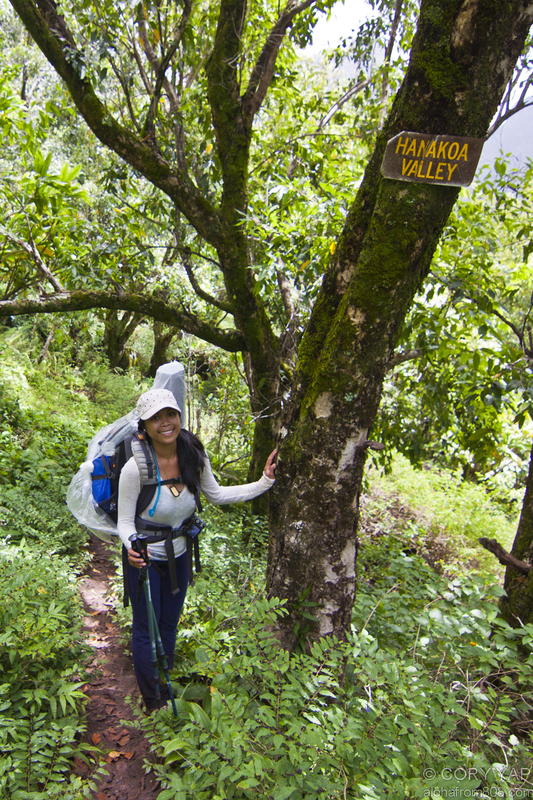 Hanakoa valley is the near half-way point or 6 mile mark TO Kalalau Valley. 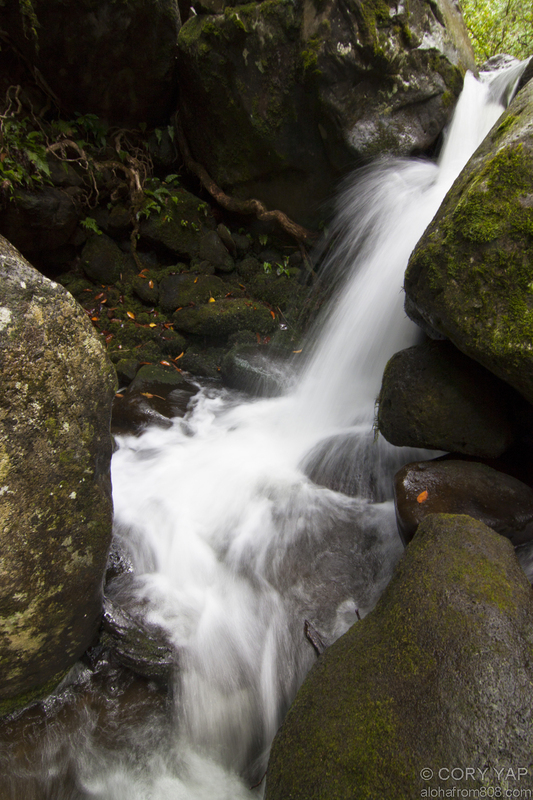 We took another break and fueled up in a shaded area next to some small waterfalls. We headed out of Hanakoa around 3pm and we’re greeted by this sign soon after. This area of the trail is probably the most narrow and eroded. 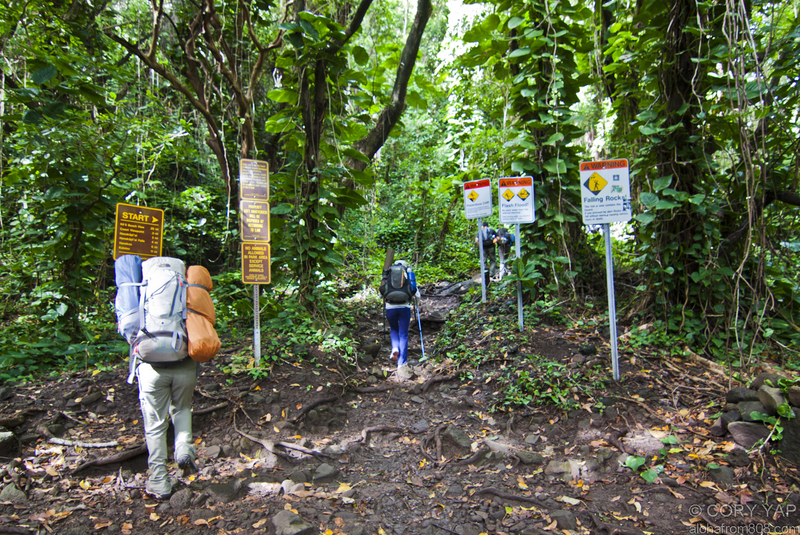 Both the inner and outer part of the trail is absent of vegetation and extremely steep, and the wetness of the trail did not add to any doubts of safety. 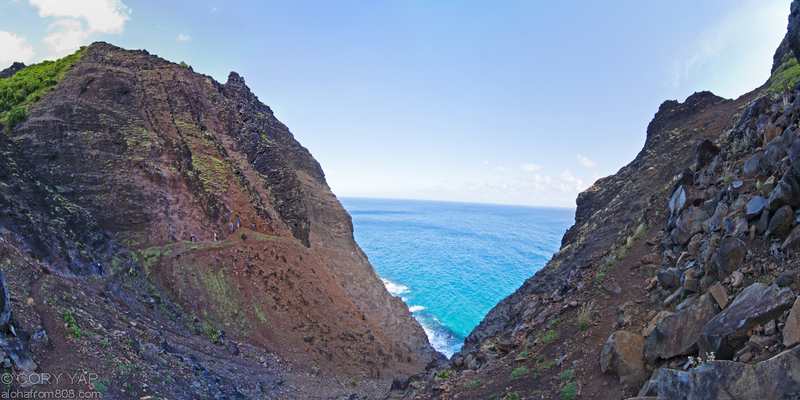 … but not before bouncing around down the side of the cliffs. Right Seth? lol. 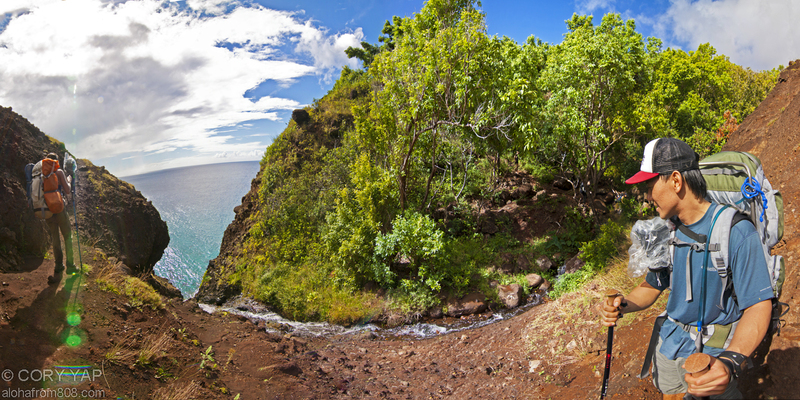 we encountered more steep eroded areas… just not as dangerous (Note the arch in the lower left part of the photo). 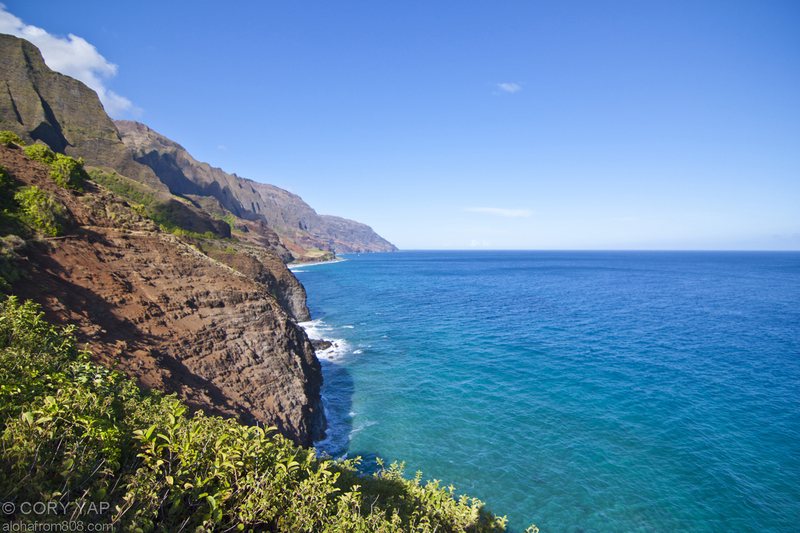 But at least we were motivated because we caught glimpses of Kalalau Beach off in the distance. There are also several mile-markers on the trail to motivate you (or demotivate you, depending on how you feel at the moment). And before we knew it, we were there! or at least almost there. 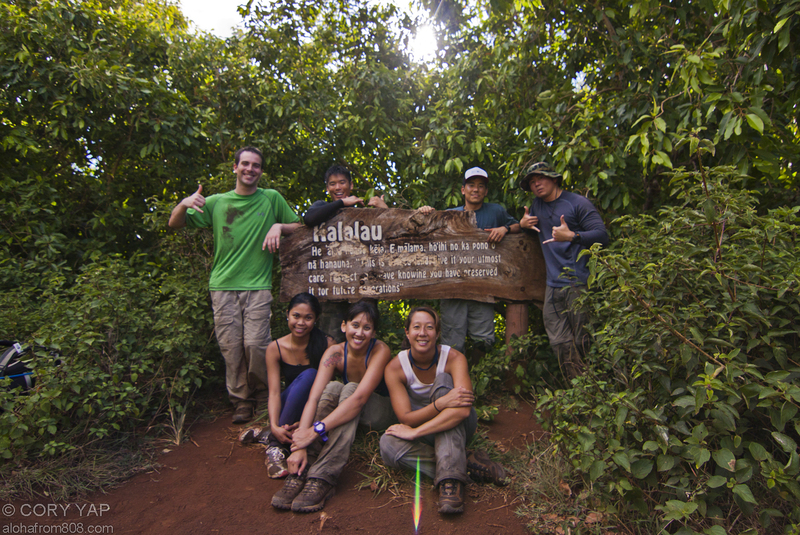 The sign is not the end point and is ~ 9.5 mile mark, and the 10 mile mark is near Kalalau Stream. Regardless, the victory was worthy enough to unpack my tripod for several group pictures. 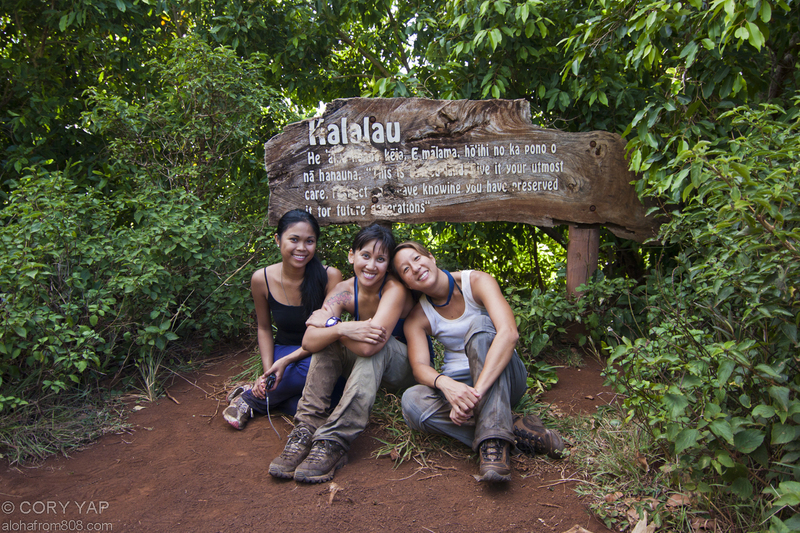 Just after the sign was the red dirt hill of tears… as some of my friends call it (from previous Kalalau Trips). The significance is from when you have come back up the hill. There are no switchbacks on it and therefore fairly graded. When the steepness subsides, you are just around the corner to the campsites. … and we made it just in time for the sunset on Day 1 (around 630 pm). 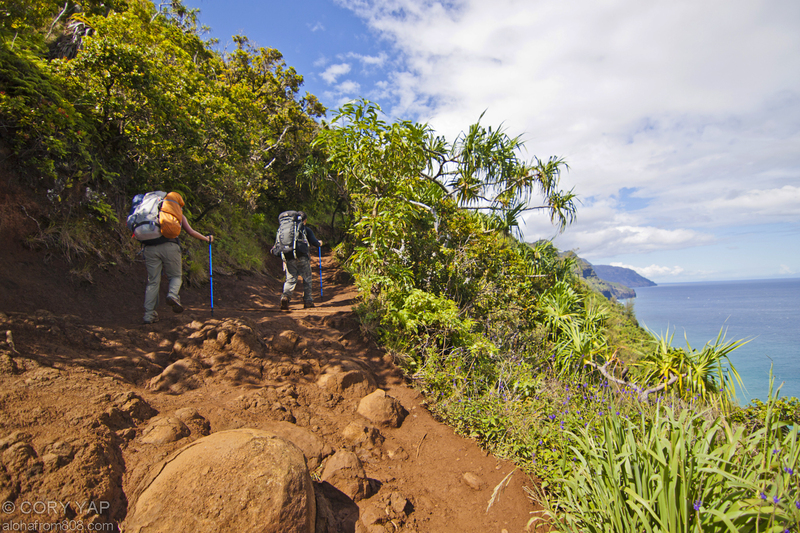 I think we could have made it to Kalalau much sooner, but the wet trail made the footing much less stable with our heavy packs. If the trail was dry, I’m sure we would’ve arrived at least an hour earlier. 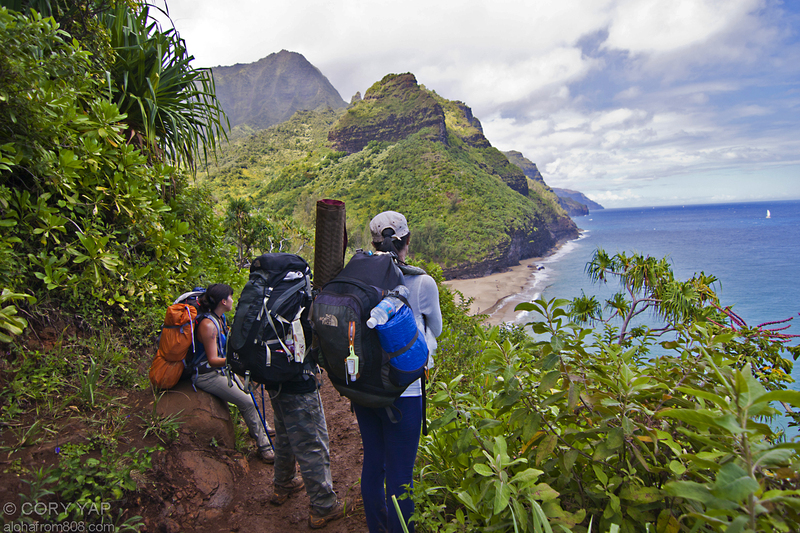 We took 6.5 hours to get from Kalalau to Haena with lighter packs and good weather, so your time on the trail may just depend how wet it is, the quality of your conditioning and how heavy your pack is. Note this is a 5-part series. 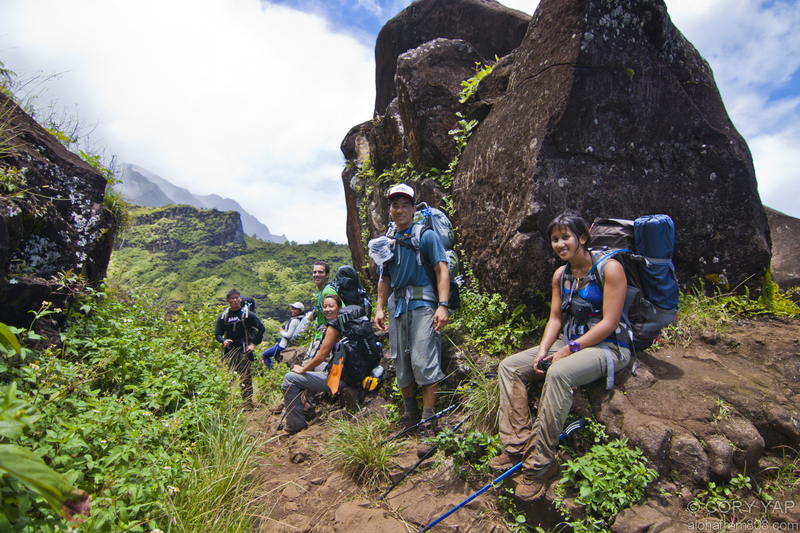 Preparation, further write-ups and Kalalau Photo Gallery can be found at the top of the page. To view this location on a Google Map also known as my “Adventure Map“, Click Here. 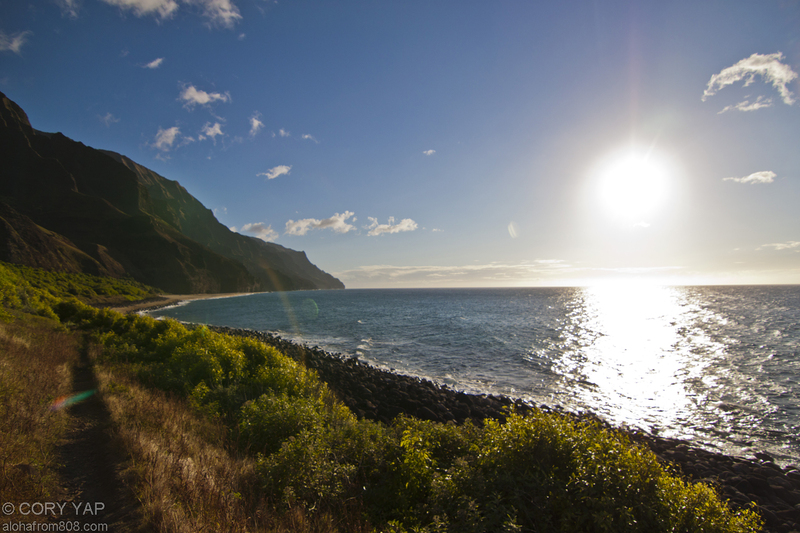 To view all the photos from our trip, click on the Kalalau 2011 Photography Gallery. For more adventures of the Lost Trailblazers, either look at my other blogposts and “Adventures with the Lost Trailblazers” photo gallery or check out Troy’s Blogspot and David’s website “UnrealHawaii.com“. I am planning on doing the hike in Feb, and I want to know if you had any issues with drug abusers at any point during the hike, especially when camping out. I heard that drug abusers and homeless people can congregate at beaches in Hawaii, and I was wondering if you happened to notice any of that there (or whether that claim is really over exaggerated). My sister is a bit paranoid about hiking this trail, so I want to reduce her worries as much as possible. These are exaggerated claims, and I’m sure it’s possible that somewhere in Hawaii (as many other places in the world) there is a drug abuser that could be encountered by a sober person on a given day. 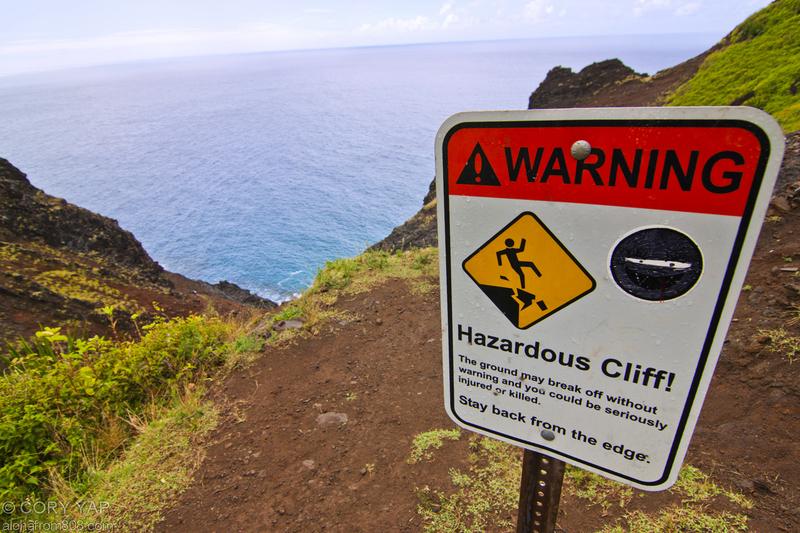 Highly unlikely though, especially on the Na Pali Coast / north shore Kauai. 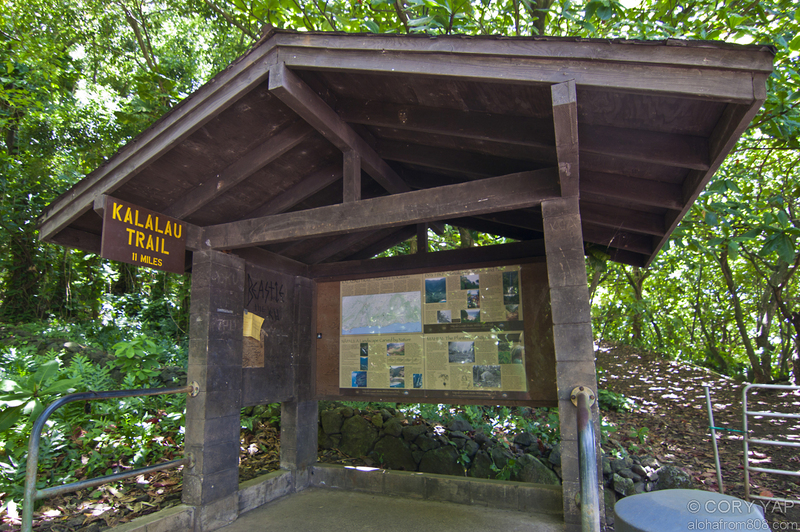 However to minimize any anticipated dangers of any sort, you should never hike any trail alone, particularly such a demanding backpacking trail like Kalalau… Unfortunately, there are a number of “homeless” people in Hawaii, though this is most apparent on the island of Oahu… and not necessarily near beaches. If you checked out the first installment of this series, I would be more concerned with your preparation for the trail rather than worry about the concerns you mention above. 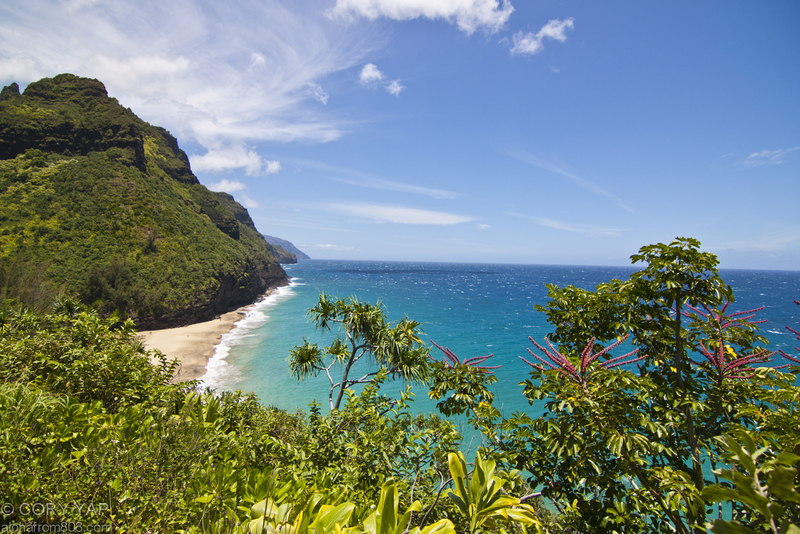 I really do hope you have a great time at Kalalau as it is an AMAZING place. Stay determined and stay safe on the trail. Hi there, Thank you for this amazing post! 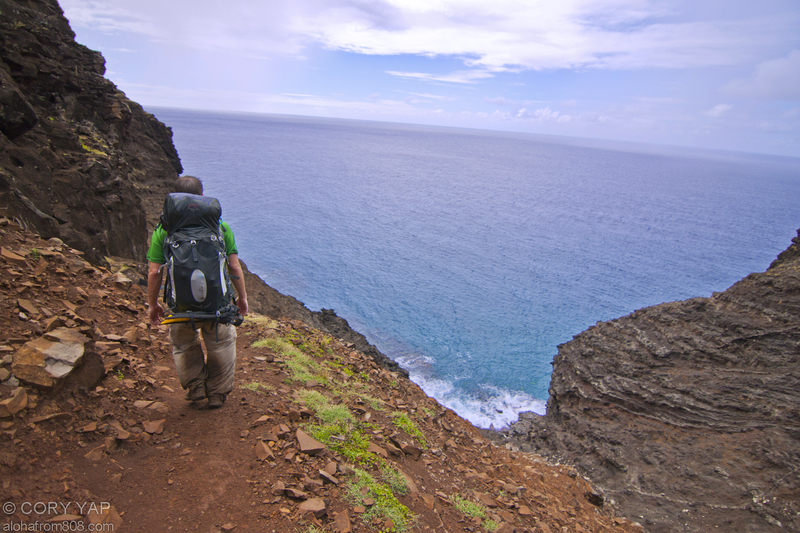 I will certainly save Kalalau Trail (Pt 2/5) – July 14 2011 ‹ Aloha From 808. Cheers. 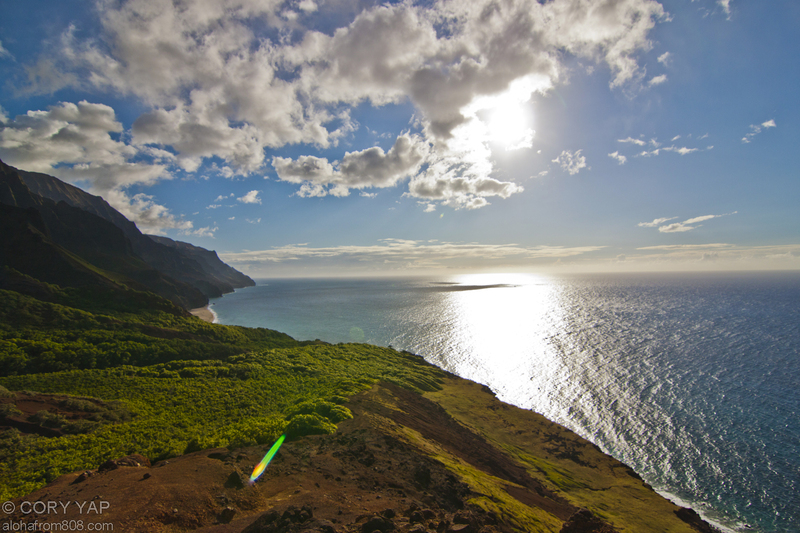 Google images put me here on your Kauai journal as I plan for a return trip. Beautiful images! 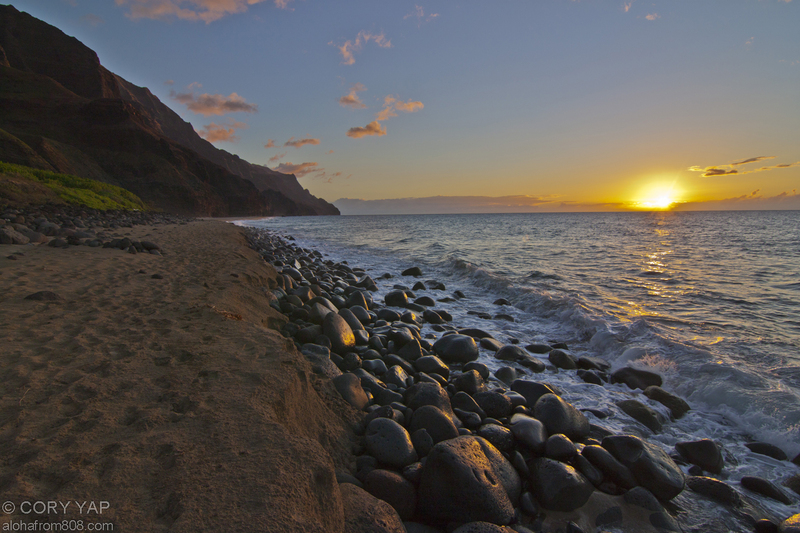 I’ve seen the Waimea canyon from a helicopter, but what a wonderful views of beaches and trails from your photos. Never hiked here and am so motivated, now. Thank you for your kind words and for stopping by and visiting the site! Good luck and let me know if you have any questions! My wife and I are doing this hike in August (8-12). Are there any things that you wish you had brought along which you either forgot, or didn’t think of? 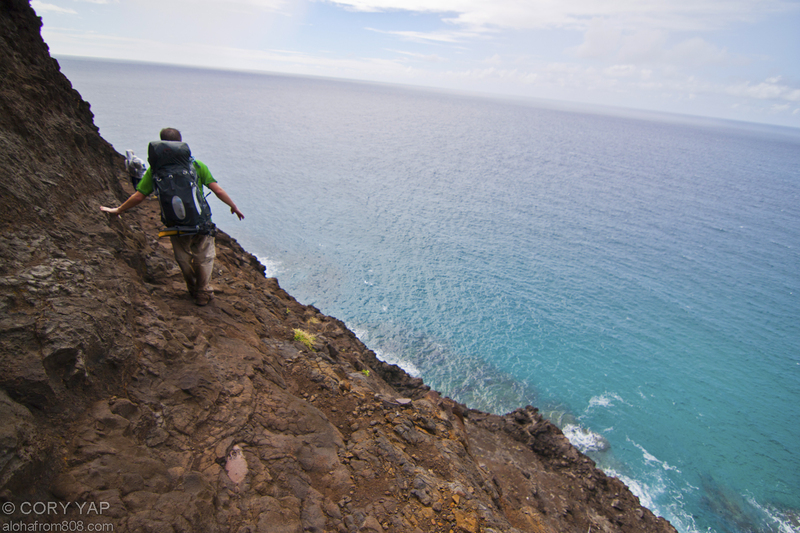 Cool pics BTW, I hiked across and out the lava flow of Haleakala in 2010, such an awesome (but grueling) hike! Maybe more drinks? haha… I think I everything I needed. Too many luxuries from home make this place less special. So many people get boated here nowadays and bring everything + the kitchen sink… Kinda ruins it for the people who want to get away from it all. Good luck on your journey and stay safe. Let me know if you have any more questions too! Mahalo for checking out my site and for your kind words.